A Hoverbarge is a standard marine barge with an air cushion system which enables it to hover. This means, when off hover the Hoverbarge will float like a standard marine barge. The Hoverbarge is constructed from steel and uses industrial diesel engines, ensuring it is simple and easy to maintain in the field. The Hoverbarge can be designed to meet local sea state conditions. The Hoverbarge has been developed over nearly 40 years and is proven technology. Hover Freight has managers that have been in the Hoverbarge industry since the beginning, providing a wealth of knowledge and experience unavailable elsewhere. Please do not hesitate to contact us to discuss your particular requirements. Unlike high speed hovercraft the Hoverbarge can carry huge payloads 100t-2500t. The Hoverbarge is simple to operate. Engines which are used on the Hoverbarge for the lift fans are standard diesel engines, such as Caterpillar, chosen for reliability and availability of spare parts. The management and design team of Hoverbarge Freight Ltd. has over 40 years experience in designing, building and operating Hoverbarges. Our Hoverbarges have developed over time based on actual operating experience, making us the 1st choice for Hoverbarges. See the History of Hoverbarges all designed by our technical director who designed the first modular Hoverbarge in the early 1970,s. We also provide Hovercraft consultancy services including route assessments and Hoverbarge viability/feasibility studies. Hover Freight designers currently hold the record for building the largest Hovercraft ever successfully operated with a payload of 450 tons. The Hoverbarge only exerts 1psi ground pressure when on hover, compared to an average human footprint of 8 psi. The Hoverbarge is fully amphibious and floats when off hover like a standard marine barge. 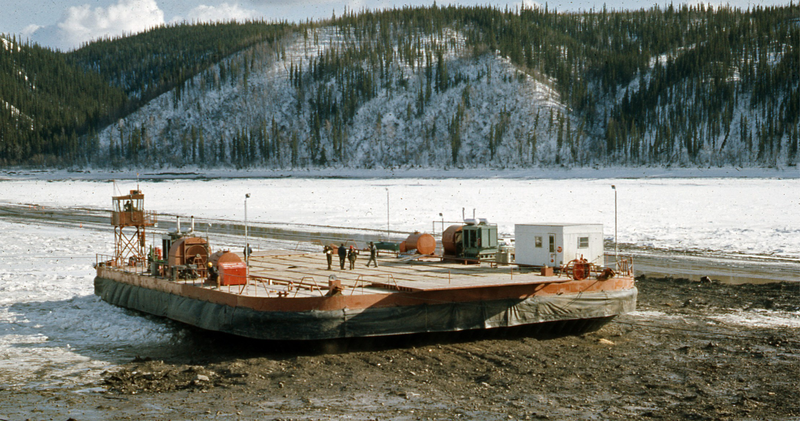 Level ground conditions such as swamps, shallow water, soft mud, ground fast ice, tundra, permafrost, sandbars, wet sand, deep water and land are perfect for the Hoverbarge. Hoverbarge Freight Ltd was formed to carry out the consultancy and advice on using Hoverbarges or air cushion vehicles worldwide.